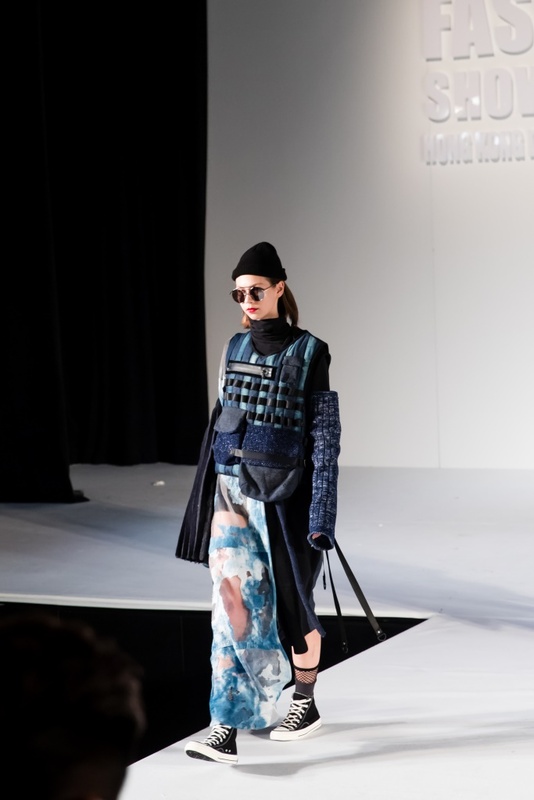 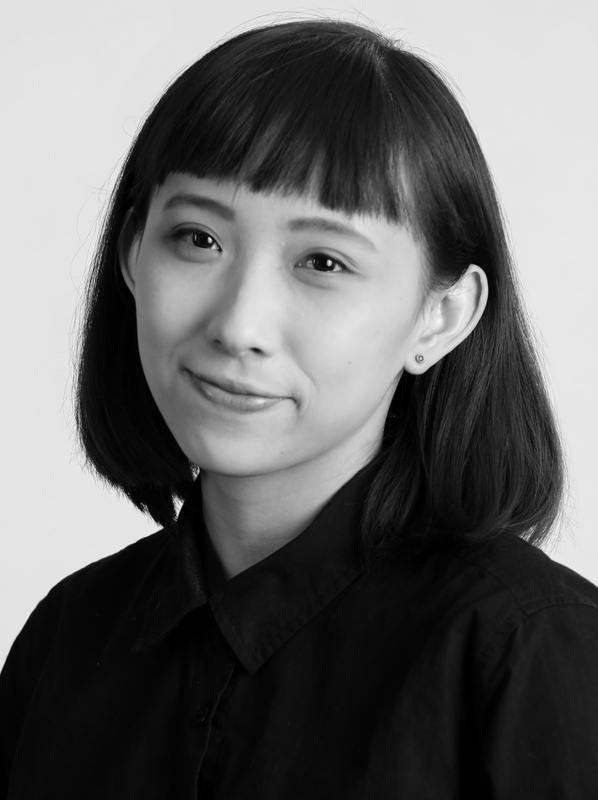 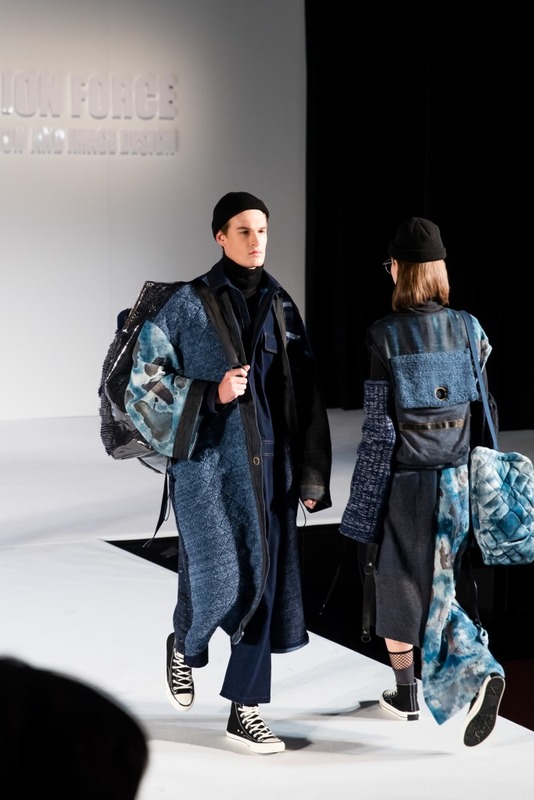 Having spent a semester abroad at the University of Borås in Sweden, Carmen graduated from the Hong Kong Design Institute’s Department of Fashion and Image Design in 2018. 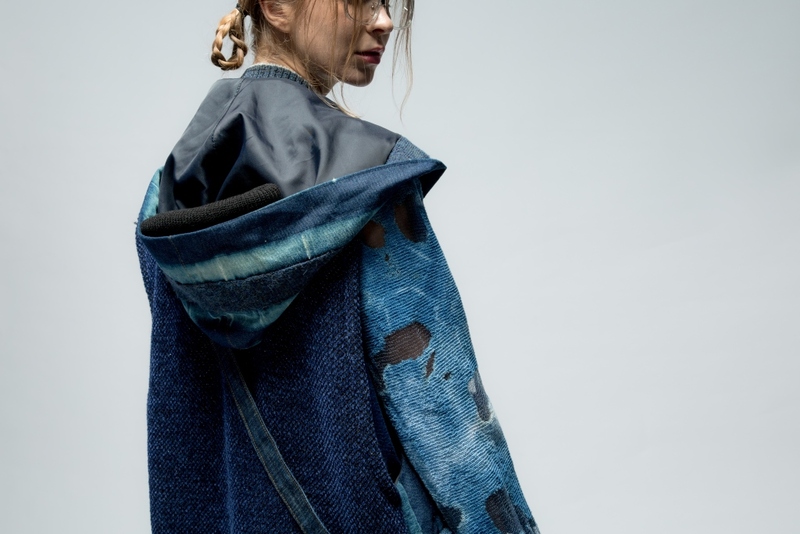 Her award-winning graduation project, called “The Blue Void,” was inspired by the ocean. 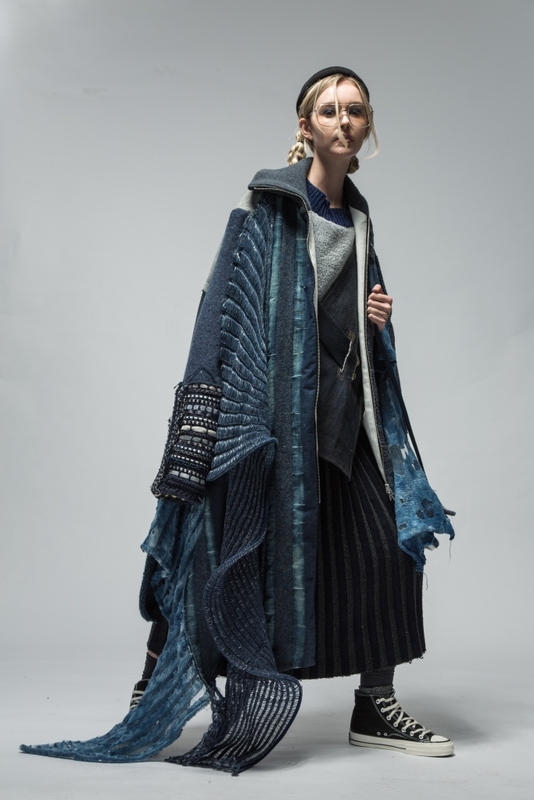 Using fabrics that were hand dyed by the designer, as well as denim wash, painting, and knitting techniques, Carmen’s line offers a kaleidoscope of various shades, tints, and tones of blue complemented by interesting layers and patterns. 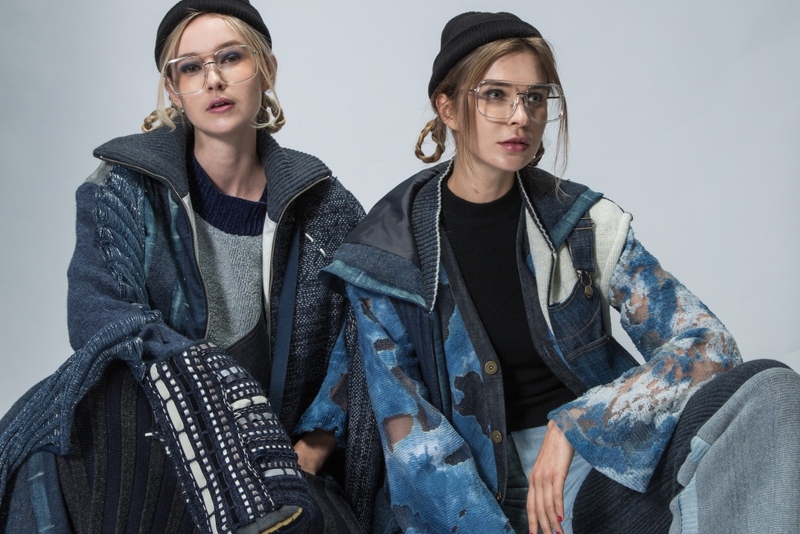 The surprising combination of denim and knitted fabrics changes the way we usually view each type of fabric, giving the knitted fabric a youthful and rebellious look. 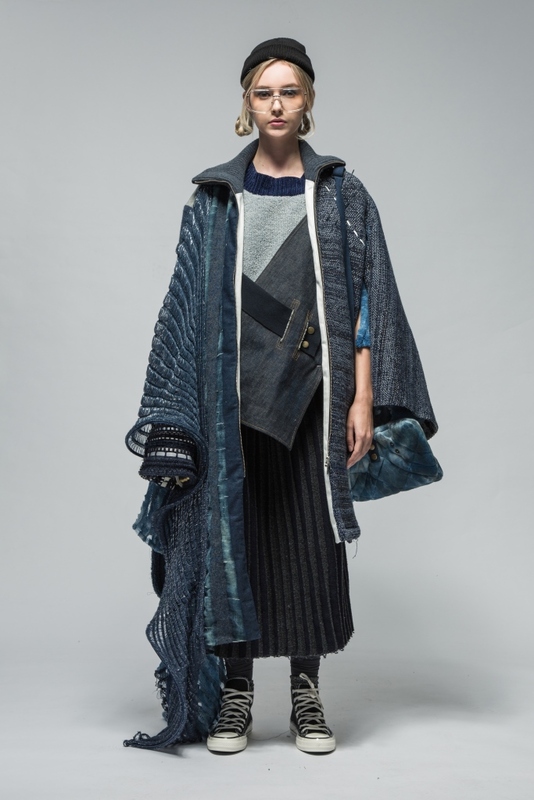 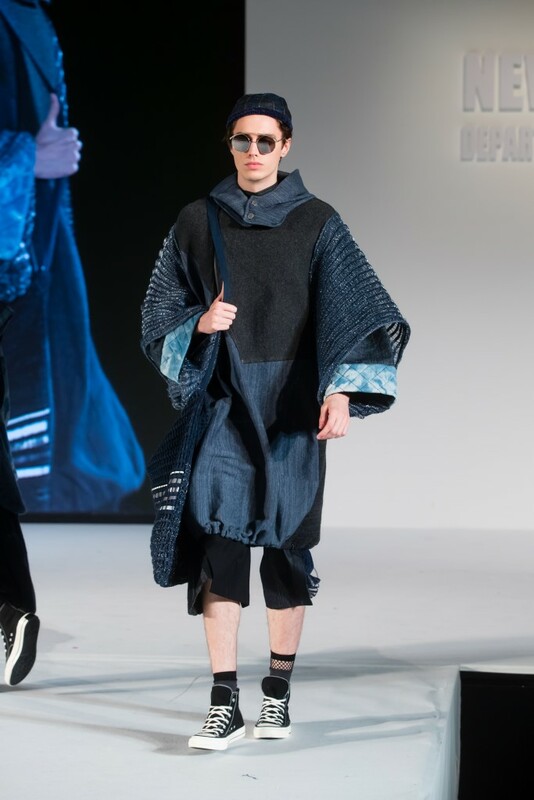 At the same time, the blue denim fabric is juxtaposed with a traditionally warm material. 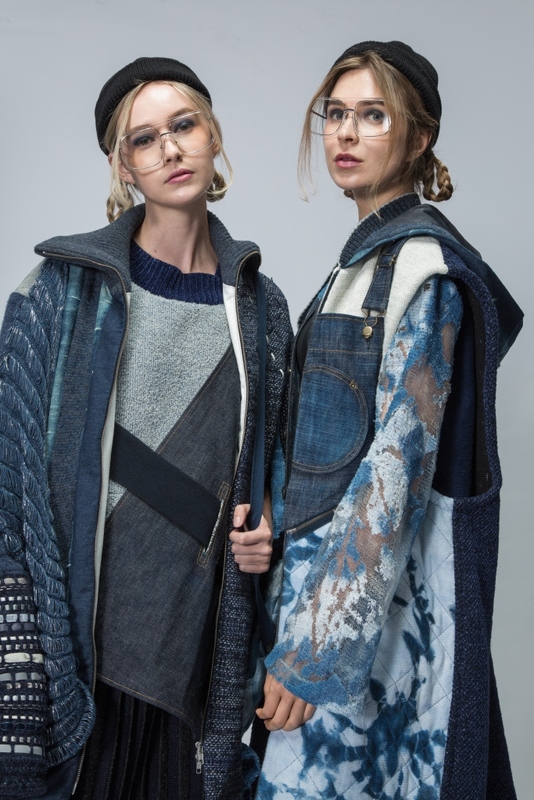 Therefore, the casualwear is endowed a warm feeling despite its low colour temperature, which again disrupts our common conception. 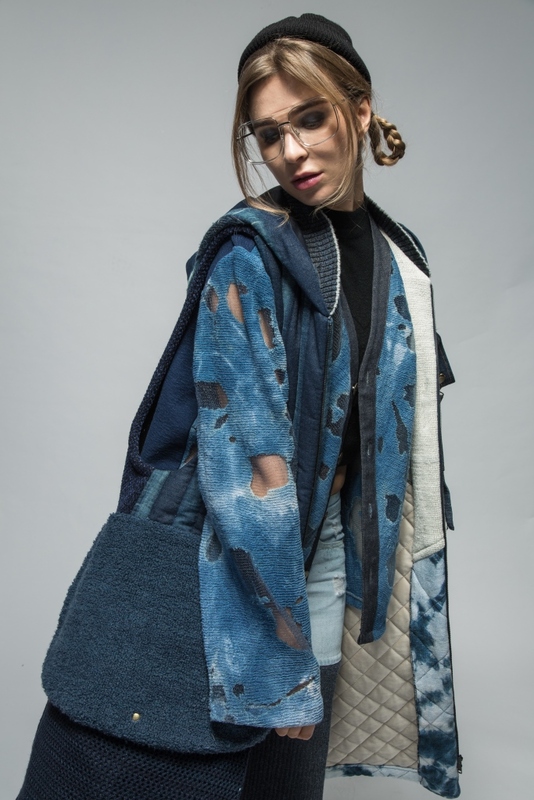 Carmen is a fan of experimenting with fabrics. 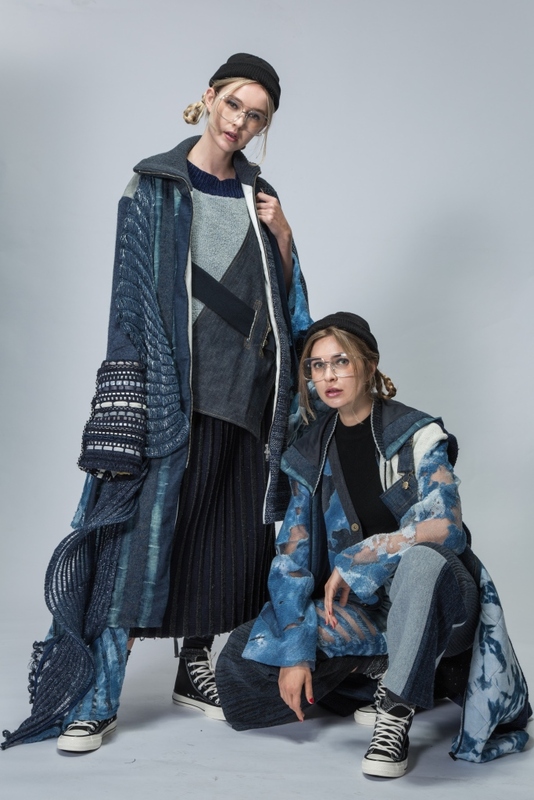 She also designed a series of fabrics made with digital print and screen print technologies, which are also dyed to create original patterns and colours.